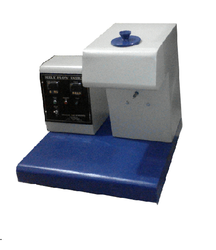 Melt Flow Indexer is used to measure the flow rate of different polymers. The reported Melt Index values helps to distinguish between the different Grades of Polymers. This is due to the fact that plastic materials are seldom manufactured without incorporating additives, which affect the processing characteristics of material like stability and flowability. Looking for Melt Flow Index ?